With the proficient skill of dealing with books of accounts, we at DNS Accountants offer a lot more than just the accounting services to the wide range of business industries. Our personalized accounting services are not just confined to the productive accounting solutions that we give; we also serve our clients the tax planning and other consulting services in all business related matters. We aim to serve our clients the most lucrative accounting solutions with our best Accountants in Maidstone. Our highly experienced and well-certified accountants hold degrees from well-accredited universities and are members of prestigious bodies like ACCA and CIMA. We have served more than 1200 clients since 2005, and have been successful in earning a respectable position in providing the best accounting services across the U.K. Our team of Accountants in Maidstone is specialized in limited company accounting, tax investigation, and tax advice, accounting solutions and consulting services. Our highly experienced accountants are too dedicated and proficient in their work and serve the accounting solutions with the best of their knowledge. They chalk out simple ideas of saving money at every possible business juncture complying all norms and regulations so that you don’t face any legal penalties in business. At the distance of 51 km from the south-east of London, Maidstone is located downstream the river Medway in Kent and is popular worldwide as the Garden of England. Maidstone’s economy has changed over the years from the heavy industries to now the light and service industries. Historically, Maidstone was famous as one important industrial area of brewing and paper-making industries, nowadays, many small industries have encircled the town. Maidstone embraces many business parks nowadays, set up by high-technology firms. The town is home to the loudspeaker manufacturer KEF (Kent Engineering and Foundry), which was founded in 1961 and is located at the river-bank site. The company still enjoys its work and operations at the same location and is a big source of employment in town. Since Maidstone has a larger share of people’s engagement in the retail sector, there is a plethora of opportunities in retail businesses at small and big, both the levels in town. Chartered Accountants in Maidstone : With their immense experience in dealing with books of accounts, our chartered accountants in Maidstone provide accounting and company secretarial services in a proficient manner. Their cost-effective ideas of saving money to boost up investments and gains of business work effectively in varied business industries. Our Accountants in Maidstone Kent embrace the wide-range of ideas and serve the best accounting solution obeying all laws and norms so that you don’t need to face any legal actions further. From the making of account reports to serving the best advice to usher the growth of business in financial matters, our accountants Maidstone have gathered a huge experience in the said field with positive feedbacks from varied clients. Small business accountants in Maidstone : Our small business accountants in Maidstone are proficiently specialized in limited company accounting, dealing with business growth model of company and in serving varied accounting solutions to produce a lucrative gain yearly. Our tax professionals provide the best ways to lessen the taxes of company in whichever possible ways following all norms and laws of Acts and latest Tax slab. Our Accountants in Maidstone provide the day-to-day bookkeeping of your financial accounts so that the transparency in work remains stagnant. Our professionals will help you to push your business to new levels and soon engage in the competition with the market leaders in your industry. Tax Accountants in Maidstone with other consulting services : With the wide range of ideas and plenty of custom-made solutions in tax investigation to planning, our tax accountants are highly proficient in providing the tax advisory services in the most opportune time. Our tax professionals serve their effective tax advisory and maintain services in different business industries and intricacies according to their needs and requirements. Our tax accountants in Maidstone are always been in the constant touch of the clients to know their needs and to serve them the best of the tax advice at personal and professional, both the levels. Our professional taxanalysts work closely with start-ups and small entrepreneurs to push their entry into markets. Auto-enrolment is the legal requirement of business in which the employer decides to provide the Qualifying Workplace Pension Scheme (QWPS) to its eligible employees. The engagement of this service varies employer to employer as it isn’t mandatory for companies. Our chartered accountants provide the detailed information regarding the requirement of whether or not this service should be provided to the employees of the company. Or, if yes then they evaluate who are the eligible employees to attain the due benefits of QWPS. An apt name of the company. ✔ 'Statement of Capital,' which holds details of all shareholders and rights of the company. ✔ “Article of Association” which embrace all the rules and regulations on which the company is supposed to run. After this, a company gets the “Certificate of Incorporation” legally in hand. Providing best accounting solutions in time, Accountants in Maidstone are highly experienced and efficient in various fields. 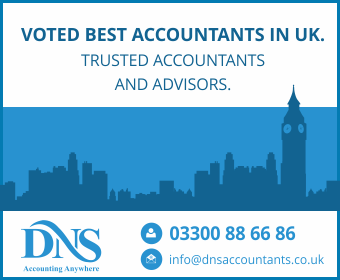 We, at DNS Accountants, aim to fulfill all the accounting needs our clients and serve them the most productive advice in tax planning and other business related arenas. With our growth of the company, we have been successful in extending our services in Strood, Rochester, Grays, Ashford to the wide range of business industries and domains. We intend to serve our clients the complacent accounting services and focus on serving as many people as possible.